Well since we can’t do up a nice BBQ chicken on the grill why not make it on the skillet. 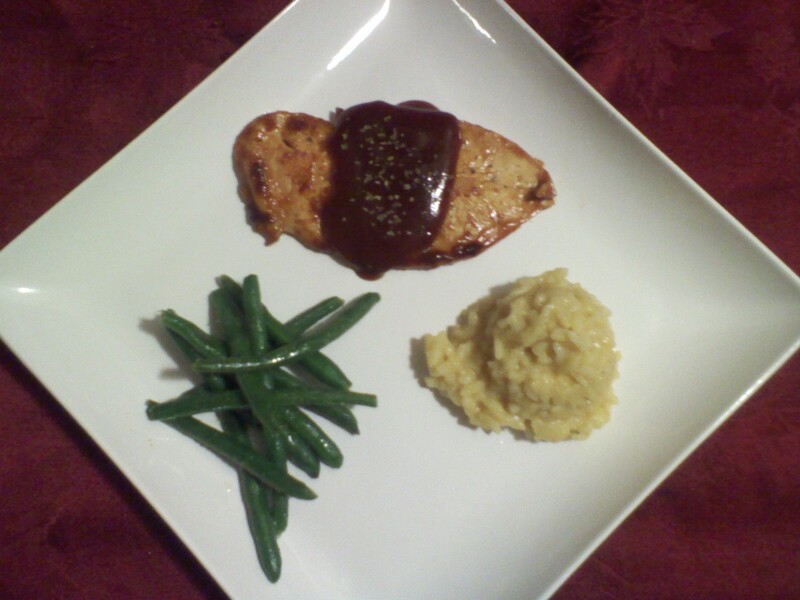 Homemade BBQ sauce, along side some garlic string beans and Butternut Squash Risotto. It’s a great combination with great flavors. If you haven’t tried Risotto give it a try. You will be suprised at the different toppings you can create. What I like best about your plate is that the portions look so reasonable. I have to confess to liking barbecue sauce on a lot of things.